Power reclining is just the beginning for the cozy features on this console loveseat. This piece also features a plush power headrest and a USB charging port, perfect for keeping you comfortable and your electronics fully charged as you binge watch your favorite show. Other details, such as the rolled arms and nailhead trim, add dignified traditional style to this loveseat. Additionally, the storage console provides space to keep remotes and controllers from getting lost, and the cup holders are a feature you soon won't be able to live without. 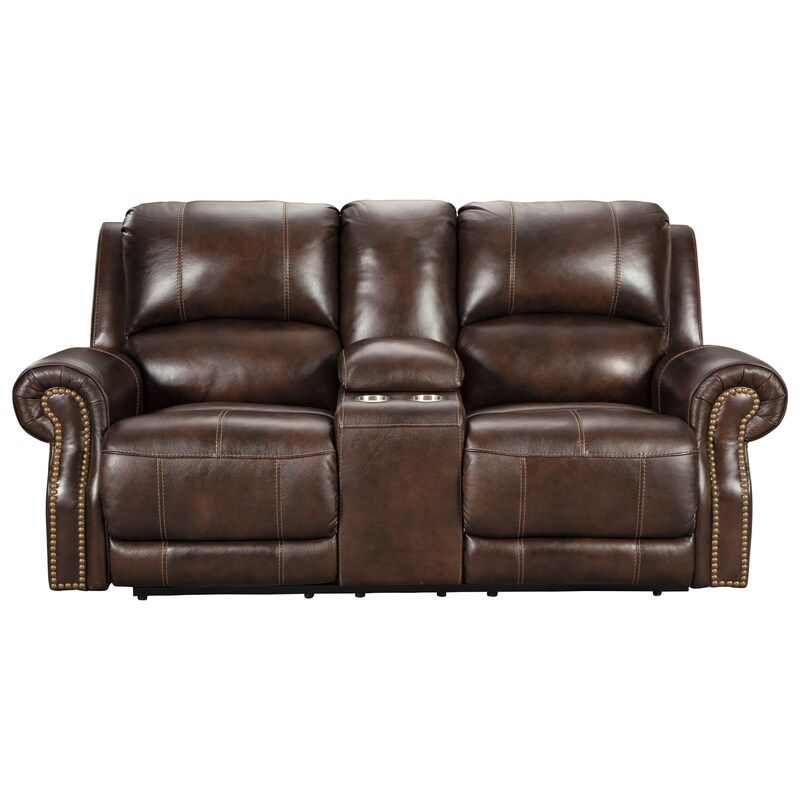 The Buncrana Traditional Power Reclining Console Loveseat with USB Port by Signature Design by Ashley at Miskelly Furniture in the Jackson, Pearl, Madison, Ridgeland, Flowood Mississippi area. Product availability may vary. Contact us for the most current availability on this product. The Buncrana collection is a great option if you are looking for Traditional furniture in the Jackson, Pearl, Madison, Ridgeland, Flowood Mississippi area. Browse other items in the Buncrana collection from Miskelly Furniture in the Jackson, Pearl, Madison, Ridgeland, Flowood Mississippi area.